The trial of Adolf Hitler for high treason after the Beer Hall Putsch was not the end of Hitler's political career as many had expected. In many ways marked the true beginning. 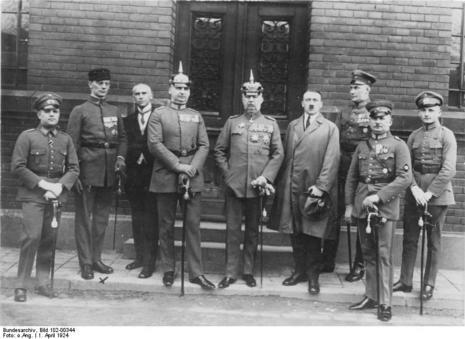 Hitler considered the traitors of 1918 to be the German politicians responsible for the so called 'stab in the back,' who prematurely ended World War One and established the German democratic republic. In Hitler's mind and among many Germans, their Army had not been defeated on the battlefield but had been undermined by political treachery at home.